Ivan Locke (Tom Hardy) is expected to supervise a large concrete pour. 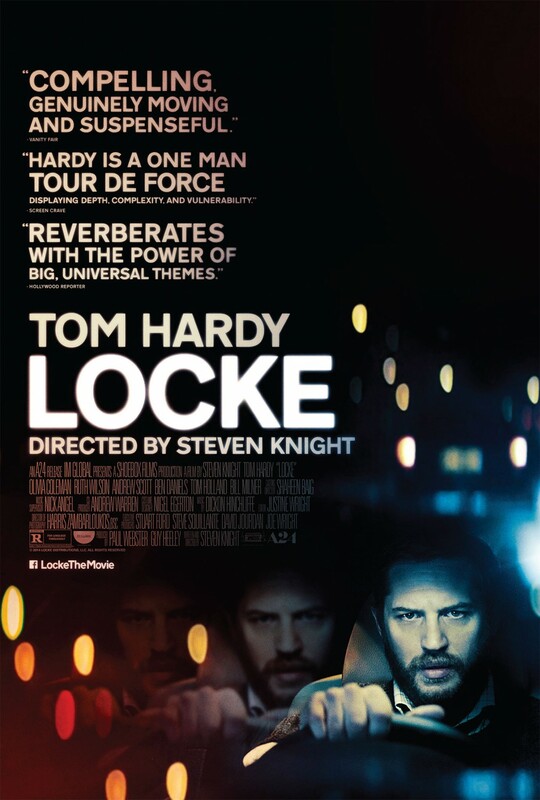 On the night before the job, Locke is in his car driving to London. Through a series of phone calls he receives while driving, it is clear that he won’t be available for the job the next day. His supervisors and his crew are expectedly frantic and upset. They don’t understand how he could abandon his responsibilities on the night before he is so desperately needed. Locke calls his wife and explains to her that he is driving to London and won’t be home. He had a one night stand several months ago, resulting in the woman becoming pregnant. She has gone into labor, and he is on his way to be with her during the delivery. As Locke has made his choice to go to the hospital, the consequences of his actions cause his life to crumble. Locke is essentially an 85 minute BMW commercial. Shot after shot flashes the BMW logo on his steering wheel. Or it shows the exterior of the car, so you can see it is a BMW. The entire movie is Tom Hardy driving along, taking phone calls on his bluetooth. No one else appears in the film. They only “appear” in the film as voices over the phone. If this sounds like a boring concept for a movie, that’s because it is. It is phone call after phone call, interspersed with Locke talking to himself out loud, giving himself commentary on his situation. On top of that, the movie feels like something a film student would turn in for a homework assignment. It is a rainy night. Shots fade in and out of focus. One would guess that the budget for this film was very small, with the majority of the money spent on renting the BMW Hardy drives. The entire movie, I was waiting for something to happen. The obvious would be Locke getting into an accident. But, alas. That never happens. Nothing ever happens. It is perhaps one of the most boring movies I have seen in quite some time. And the ending is not satisfying. At all. In fact, there is very little redeeming about the movie. Do yourself a favor and skip Locke. See something else. Anything else.